Updates to Dennis "Buddy"'s profile since your last visit are highlighted in yellow. Vice President, National Fire Sprinkler Assn. Retired. Career in the fire service. After military service I served as a Battalion Fire Chief for the City of Plantation, Superintendent at the Florida State Fire College in Ocala, and as Director of Florida's State Fire Marshals Office in Tallahassee. Received numerous awards for my fire service including recognition in People's Magazine, Life Member recognition by state and national fire service organizations and in 2013 received the nation's highest lifetime achievement award from the National Association of State Fire Marshals. Dennis "Buddy" Dewar posted a message on Vicky Treo's Profile. Dennis "Buddy" Dewar posted a message. Dennis "Buddy" Dewar has a birthday today. Dennis "Buddy" Dewar added a comment on his Profile. Dennis "Buddy" Dewar added a comment on Kathleen Gorry's Profile. 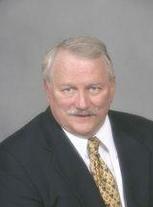 Dennis "Buddy" Dewar updated his profile. View. Dennis "Buddy" Dewar posted a message. New comment added. Dennis "Buddy" Dewar posted a message on Kathleen Gorry's Profile. Dennis "Buddy" Dewar added a comment on his Profile. New comment added.